Amazon Great Indian Sale Offers: The World’s largest Electronic commerce have lots of services, here amazon.in is one of that. The company is back with the Great Indian Sale for the people of India. The Sale Starts at 12AM midnight on Munday (August 8, 2016) to the Midnight of Wednesday 11.59PM (August 10, 2016). This Amazon Great Indian Sale consists with ever New offers. Just go through all the Special Offers Here. 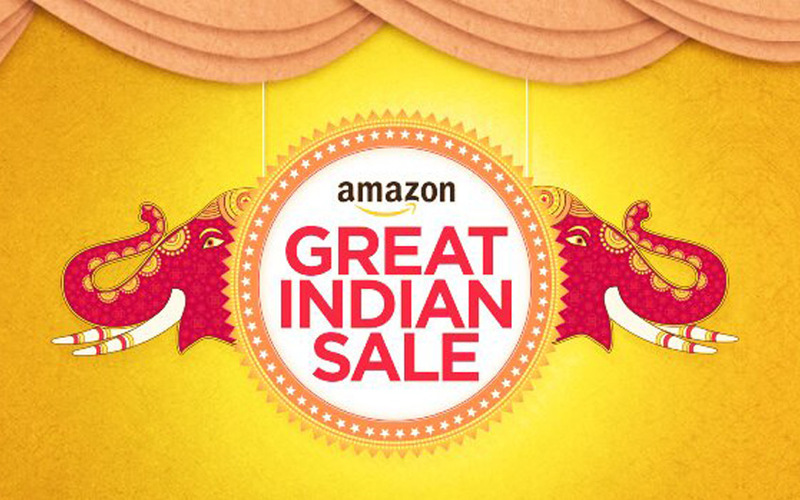 The Amazon Great Indian Sale starting from August 8 and it will end on August 10. This offer is available for the following Categories such as Clothing, Shoes, Books, Kindle Devices & eBooks, Music, Movies, Videogames & Software, Major Appliances, Symphony, Kenstar, Bajaj, Crompton air coolers, Consumer Electronics (excl. Data Storage Devices), Televisions, Gift Cards, Data Storage Devices, Gold and Silver coins, Home & Kitchen, Beauty & Health, Jewellery (excl. Gold and Silver coins) and all Others. Up to 50 percent discount on headphones. Up to 60 percent off on networking devices. Up to 40 percent discount on Televisions, Cameras, and Accessories. Up to 25 percent discount on refrigerators and washing machines. Users can expect Up to 40 percent discount for Philips Lighting. Up to 60 percent discount on some of the best-selling books. Up to 50 percent discount on Hindi books. Up to 60 percent discount on video game titles. It is the First Time in Amazon India, the people can use the Amazon’s Prime Membership. It allows us to check the 30 minutes early access to deals. This New Prime Support is recently added to the Indian Version of Amazon. The company gave 60 days of Prime Free trail access. By using this Prime Membership, the amazon fulfilled products are eligible for the unlimited free one-day and two-day delivery and free delivery. The Amazon.in users can purchase their products on this Amazon Great Indian Sale by paying money with the Amazon Gift Cards. So, the users will get Rs 100 cash back on every purchase during the period of Aug. 8, 9, and 10, 2016. You can also check out your Amazon Great Indian Sale Products by using the State bank of India Debit Card. If you use this card while on your purchase, then yu will get the 10 percent Additional Cashback on Mobile Phone App. Also, it is available on the amazon.in Website with the offer of 7.5 percent. There is a condition to get this offer, just add the products to the chart and purchase it with the minimum cost of Rs 5,000. And get the Maximum cashback as Rs 1,500 per SBI card account. Stay tuned with Us. We will Update this Post frequently for the Biggest Deal.